The official website of the Winter Carnival, it includes a short history, images, schedules of the current year's events, and information on the administration and running of the Carnival. 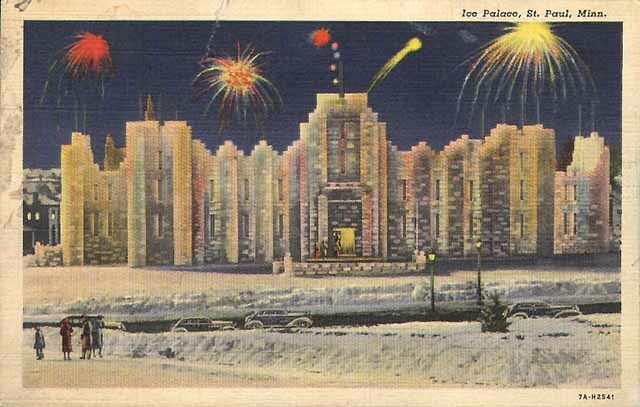 This collection includes a wide variety of materials related to the history of the city of St. Paul, including Winter Carnival scrapbooks. The St. Paul Collection room at the Central Library is open to the public by appointment. Searches the collections of thousands of libraries all over the world. A searchable collection of images, maps and digitized documents from more than 150 of Minnesota's cultural heritage organizations. Search the collections of the University of Minnesota Libraries.